Posters are distributed widely throughout the market on primary and secondary arteries to provide complete and instantaneous coverage. Posters take advantage of the fact that 80 percent of the traffic travels on 20 percent of the roadways. Posters are sold in packages. Poster packages are sold according to Target Rating Point (TRP) levels, which correlate to the percentage of the market an advertiser wishes to reach per week. A 100 TRP, will yield weekly exposures equal to 100 percent of the target audience. An average 100 weekly TRP buy builds to a frequency of about 8 times in 28 days. In addition, that same 100 TRP buy will reach 55 percent of a market in 28 days. Customarily sold in weekly intervals of 4 to 52 weeks. Posting every Monday. 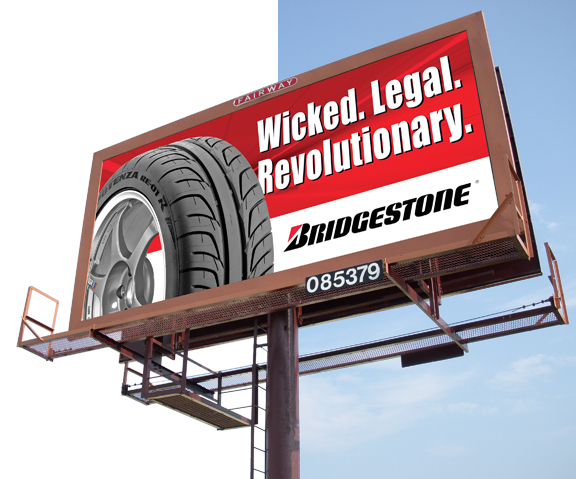 Less is more, much more when using outdoor advertising to communicate a message. The most effective designs focus on a single idea. An advertiser should consider the most important product benefit to communicate and express that message to consumers. Poster production normally requires two weeks from receipt of finished approved art. Panels should be reposted every 28 days. Download a viewable and printable Acrobat PDF product sheet of our Poster Panels.